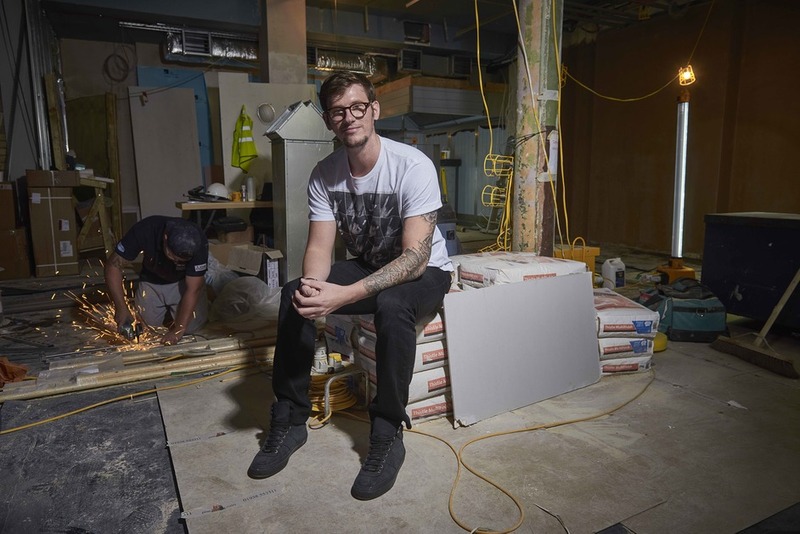 In July 2018, Adam Handling launches his biggest venture to date, moving The Frog E1 - his award-winning Michelin Bib Gourmand restaurant - to a new, larger site on Hoxton Square. Under the same roof as The Frog Hoxton is Bean & Wheat, Adam's sustainable coffee shop and deli, and a new bar concept, Iron Stag, specialising in whiskies and with space for a live jazz band. The three individual venues have their own separate entrances on three different streets - the building sits on the corner joining Hoxton Square, Rufus Street, and Old Street - so each experience is distinct. The 60 cover restaurant retains everything guests love about the original Frog in Ely Yard but in a more refined style. Furniture and artworks recreate the original restaurant's personality and the signature wall panel, signed by celebrity chefs, remains. A ward-winning bartender Rich Woods (aka The Cocktail Guy) and Matt Whiley (The Talented Mr Fox, behind Scout) have helped decide what goes behind the bar and, in the interests of sustainability, customers are encouraged to bring their empty beer bottles back in exchange for free coffees. The Frog Hoxton gyms, sporting activities, health & beauty and fitness. The best pubs near London The Frog Hoxton. The Frog Hoxton clubs, bars, cabaret nights, casinos and interesting nightlife. Where to have your meeting, conference, exhibition, private dining or training course near The Frog Hoxton. From cheap budget places to stay to luxury 5 star hotels see our deals for The Frog Hoxton hotels, including Ace Hotel London Shoreditch from 84% off.